While Bowmore and Auchentoshan have had some attention from the new (well, newish – she joined them towards the end of 2011) Morrison Bowmore Master Blender, Rachel Barrie, the folks at Glen Garioch have been a little left out. Bowmore has a new Tempest and Auchentoshan’s got a range of Travel Retail exclusives, but Glen Garioch has been quietly getting along with the business of making whisky. Some casks. At Glen Garioch. They’re quite pretty. 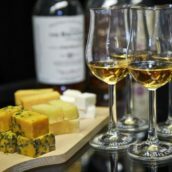 However, at a Tweet Tasting a few months back a mystery dram was revealed and discussion as to what it might be rippled across the whisky geek community. Fortunately, we didn’t have to wait long to find out – it was the now-released Glen Garioch Virgin Oak, completely matured in new American oak casks. 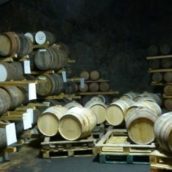 While using virgin oak for maturing scotch isn’t a particularly new thing, it’s generally been restricted to the second maturation, or ‘finishing’ purposes. However, there have been a few companies who’ve been experimenting with new oak recently. Along with limited editions like Glenmorangie’s Ealanta, we’ve also had more easily available bottlings like Benromach’s Organic, now back to being only very lightly peated, although examples are still few and far between. One of the big reasons behind this is the intensity of flavour a new cask can deliver. Nose: Very sweet, with crystallised ginger, vanilla cream, pine, sappy wood and lots of spice – cloves, cinnamon, green anis, nutmeg. Initially the green wood and spice build up in the glass, but after 5-10 minutes the vanilla and cream stand out. Palate: Oily mouthfeel with lots of bitter spice – clove especially. Behind that is sweet new oak, with vanilla, ginger and some drying tannis. The spice makes it feel quite hot, with a cinnamon tingle slowly turning to spicy oak and cocoa. Finish: Warming and drying, with freshly cut oak boards, a touch of dry cardboard, tingly cinnamon and gentle sugary sweetness lingering. The finish is rather long, with some sweet anis and green wood hanging around after everything else has faded. 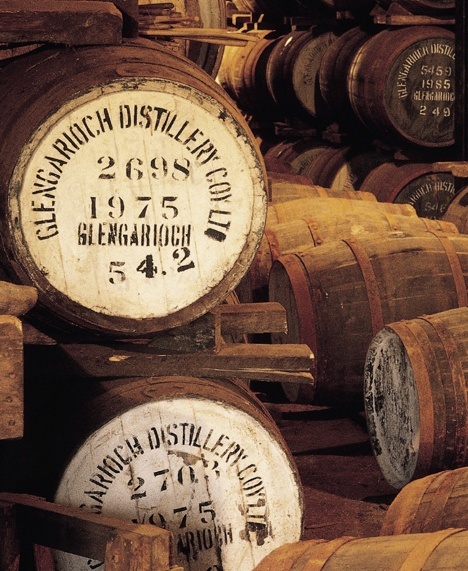 Comment: A masterclass in how to get woody flavours into whisky. It’s got the gingery virgin oak, without getting rubbery as some new wood matured drams do, stacks of woody spice and also some of the softer, creamy notes you get from American oak. It’s definitely got some extremes of flavour hiding in its depths, but a drop of water rounds off the edges. This first release is limited to only 720 bottles in the UK, with another 6000 out in the rest of the world, so we don’t expect it to hang around for too long. However, it’s an encouraging sign that there’s something going on behind the scenes at Glen Garioch. Rachel waxed lyrical about her love for the spirit during our From Japan to Scotland tasting at last year’s Whisky Show and it seems that she’s now had some more time to do some tinkering – we look forward to seeing what they come up with next. 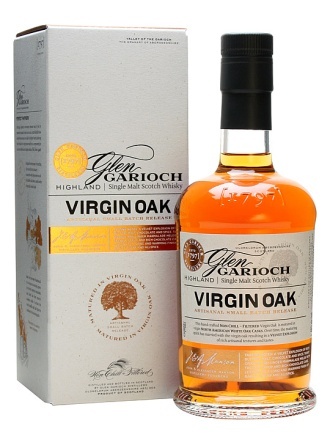 Glen Garioch Virgin Oak is now available at The Whisky Exchange for £63.95. 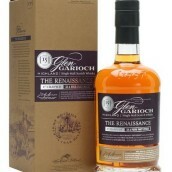 @TWEBlog @cowfish @GlenGarioch1797 How does it compare to the Founder’s Reserve? I didn’t care for all the ginger and bite/heat on that one.